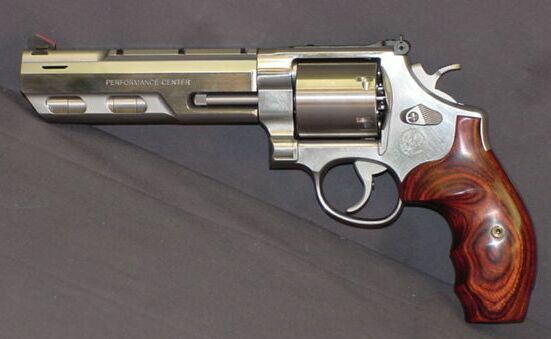 Here is a rare S&W 629 Lew Horton Performance center hunter. I have E mailed over 150 dealers on the net and 10 locally and was unable to track this gun down. It has a 6 inch barrel with removeable barrel weights and an unfluted cylinder.